Still alive! Still enjoying autumn in Winston-Salem. It’s really lasted much longer here than it does further north, where cold and windy weather seems to strip trees earlier in the season. My apologies for the lack of posts- I’ve still been cooking but frankly have just been too lazy to get on and tell ya about it. With the holidays coming up, I am not promising any improvement, but will at the very least aim to post once a month. I hope to pick things up again in the new year! Tonight, Dr. Matthews and I are both eagerly anticipating the arrival of his sister, Julie, her husband, Matthew, their 2 1/2 month old daughter, Gwen and almost 8 month old son, Ian. They are coming for a long weekend visit and I have planned a couple of slow-cooker meals, plus maybe a pizza night, so as to spend less time in the kitchen and more time visiting. Don’t get me wrong, I love being in the kitchen, but I also don’t want to get so wrapped up in preparing meals that I’m not making the most of our time. 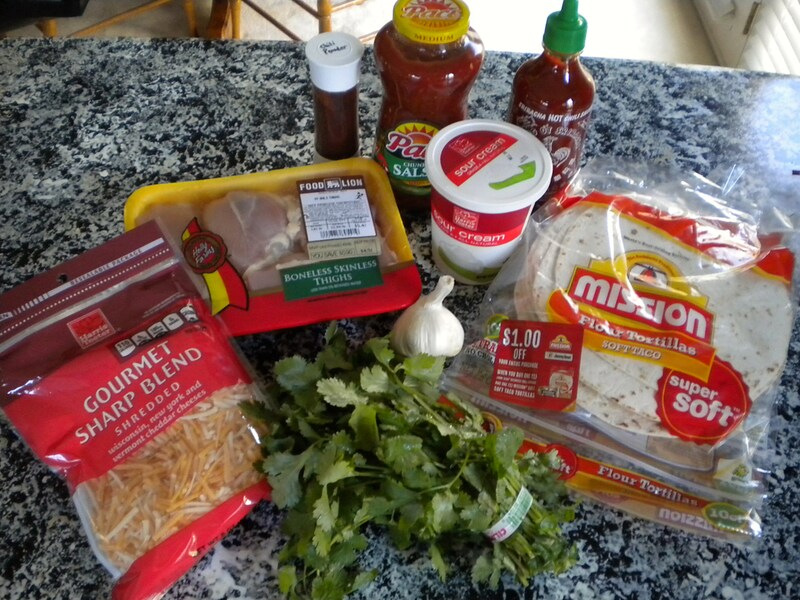 The first of the two slow cooker meals I’ve planned is Martha Stewart’s slow cooker chili chicken tacos. This was one of the first meals I made when I started using a slow cooker and one of Dr. Matthews’s original favorites. It has very few ingredients (depending on how many fixings you like) and is crazy easy. The secret is to use chicken thighs which, while not technically as good for you as breasts, pack a lot more flavor and moistness. Transfer chicken to a serving bowl, and shred, using two forks; moisten with cooking juices (or use your handy dandy kitchen aid mixer strategy, then dump back in the slow cooker). 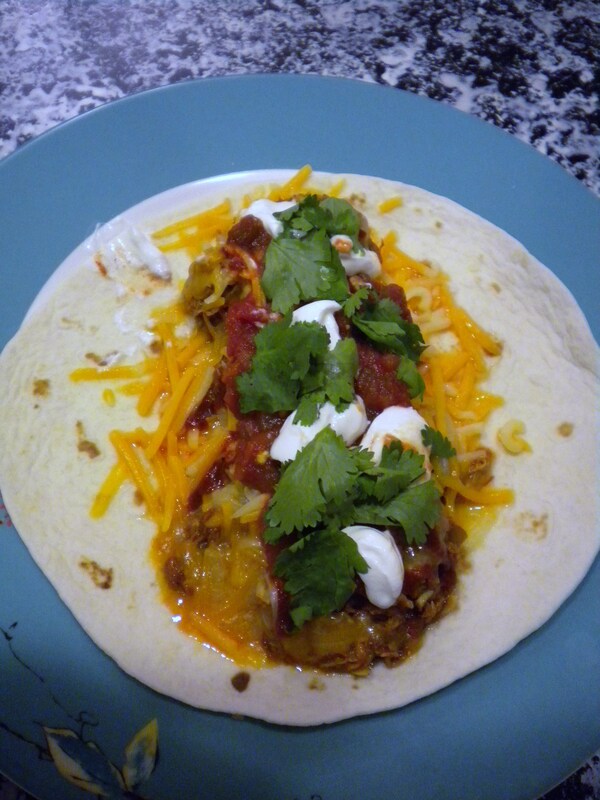 Serve in taco shells, with toppings, if desired. We like to use a LOT of cilantro! Yay! I love all the shout-outs to me and my family in this one! This meal was delicious of course, as your cookin’ always is. And it was exactly what we needed at midnight after a long day on the road. This looks so good and I am all about crock pot cooking! Can’t wait to try this one.